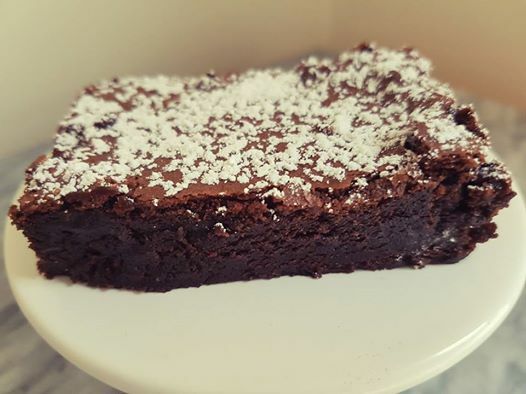 Well our American friends across the ocean have given us many wonderful baked treats and brownies would have to be close to the top of the list for me. There are so many recipes out there for brownies - some are cake like, some are fudgy and some are fluffy. This recipe is one that I have tweaked and converted and that is apparently pretty much what most Americans regard as a traditional brownie. It is very rich and it is very moist and dense. Be warned - you only need small slices...eat too much and you may find yourself falling into a chocolate coma! 1. Preheat oven to 160 degrees. Line a 20 or 22cm square baking tin with baking paper. 2. Place chocolate and butter in the bowl with the kneading blade. Set Speed 2 Temp 85 Time 4m 30sec. 3. Stop program after 1min and scrape down sides and blade. Recommence program. 4. Once chocolate is melted, add ingredients (other than icing sugar) in the order specified. 5. Select Pastry P1 for 1min. Stop after 30 seconds and scrape down sides. Recommence program. 6. Place batter into the prepared tin. Bake for 30-35 minutes. Do not over bake. 7. Remove from the oven. If serving as a dessert, serve warm or allow the brownie to cool completely before dusting with icing sugar. Note - if you like nuts in your brownie, add half a cup of the nuts of your choice. Brownies and walnuts are both traditional and tasty.